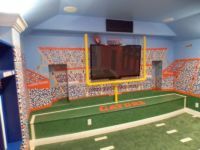 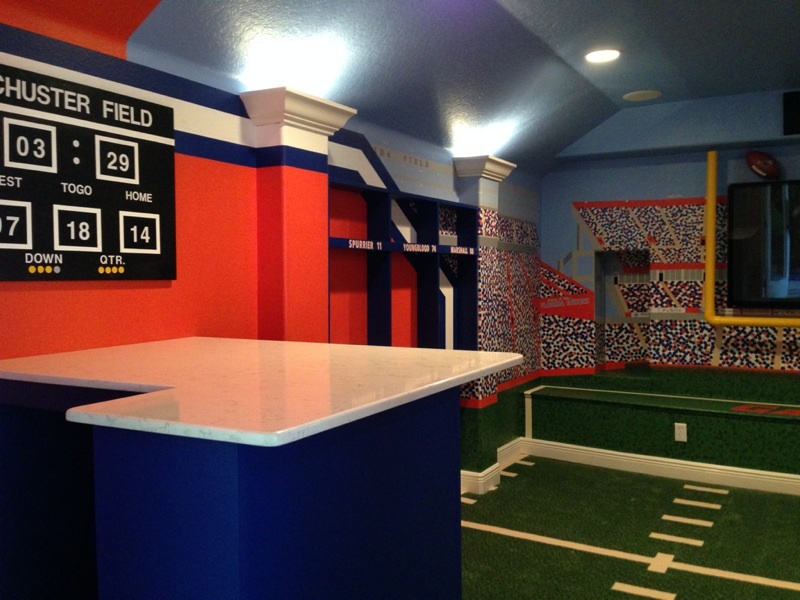 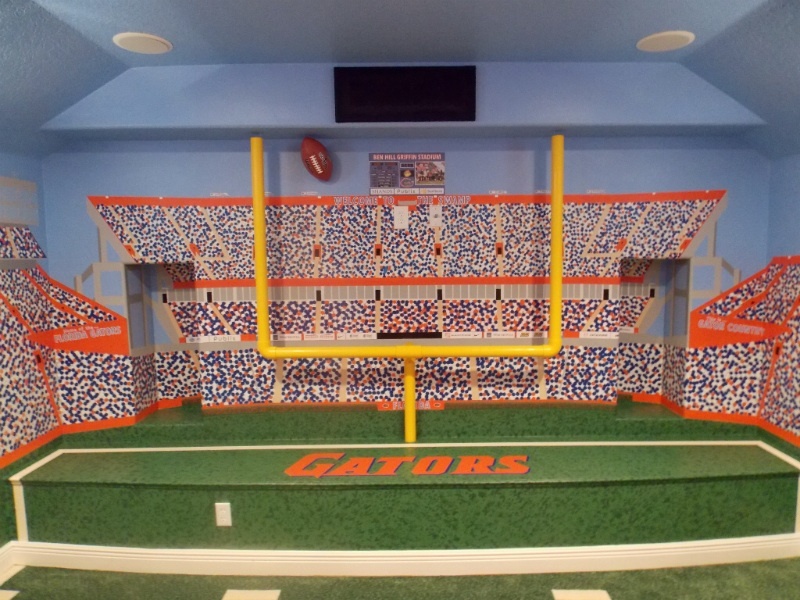 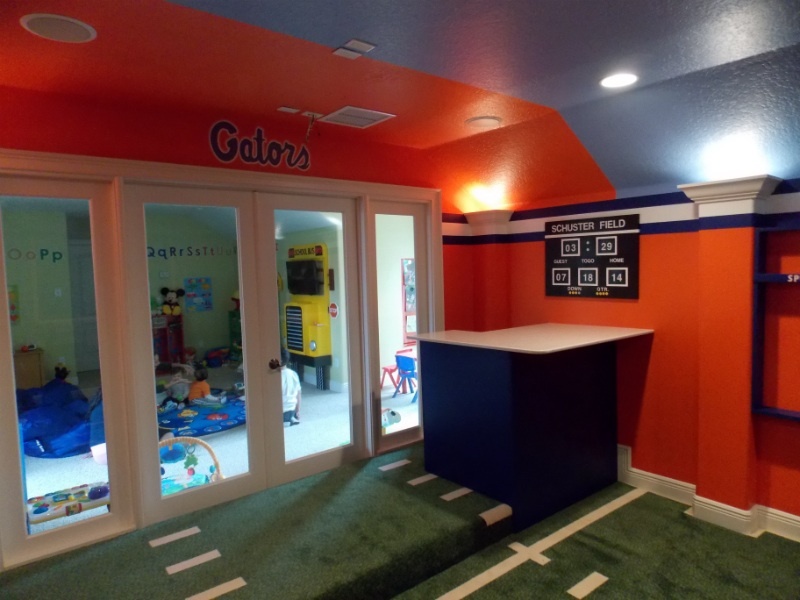 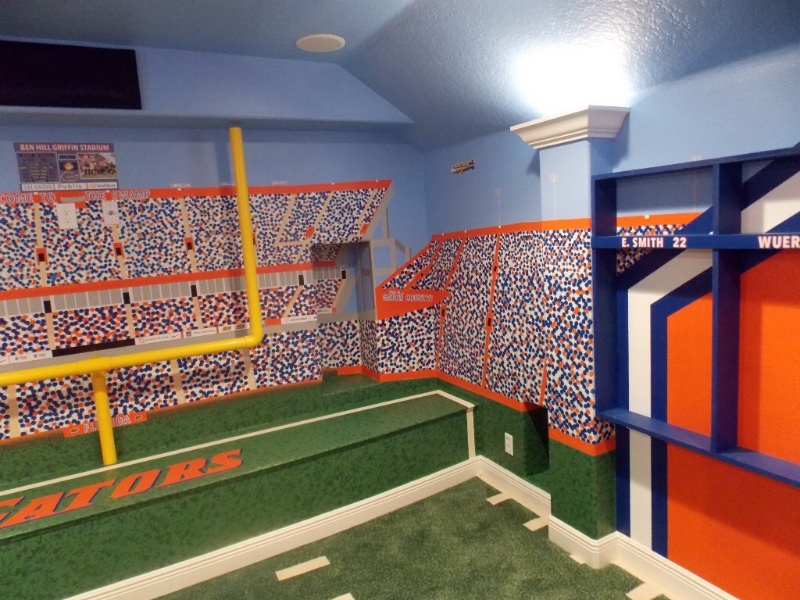 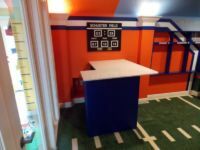 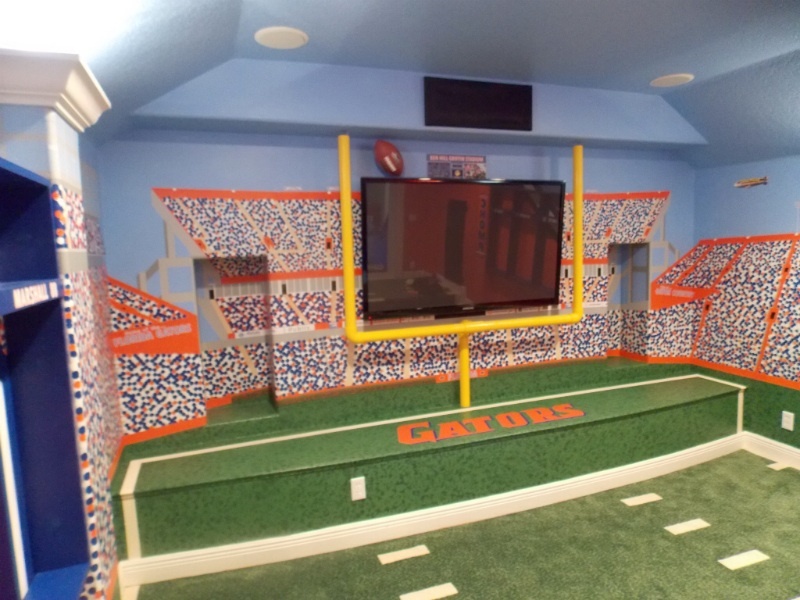 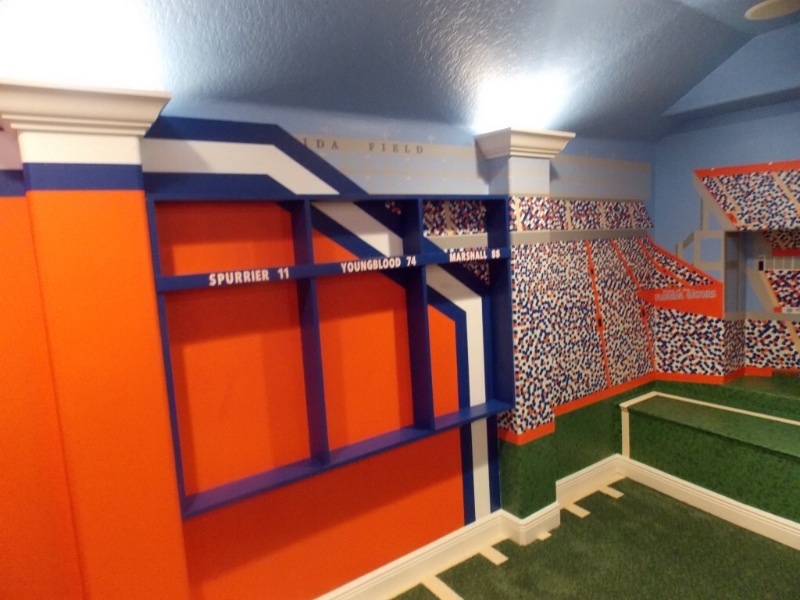 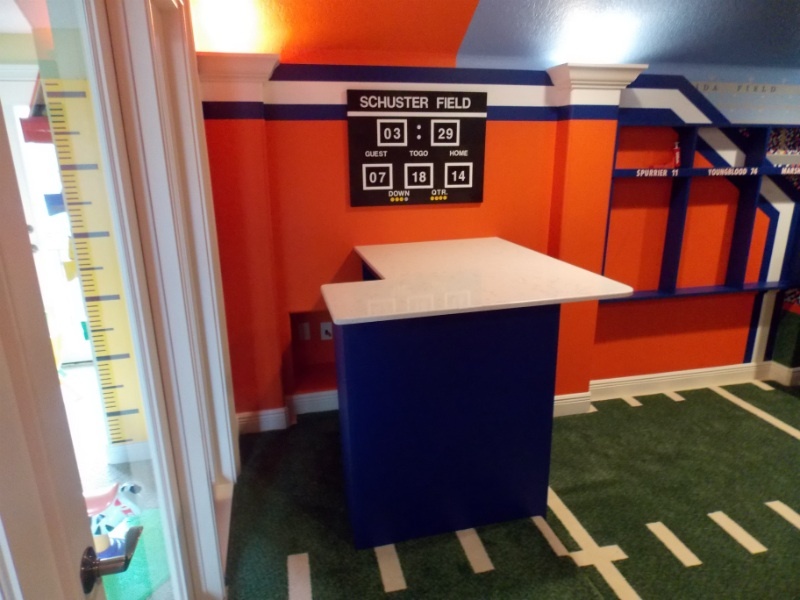 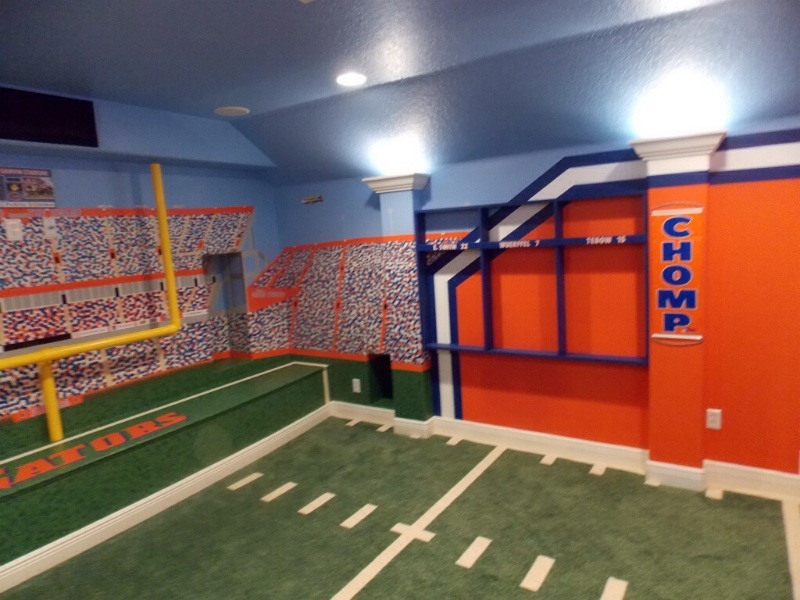 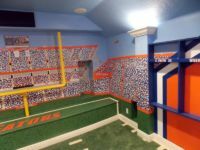 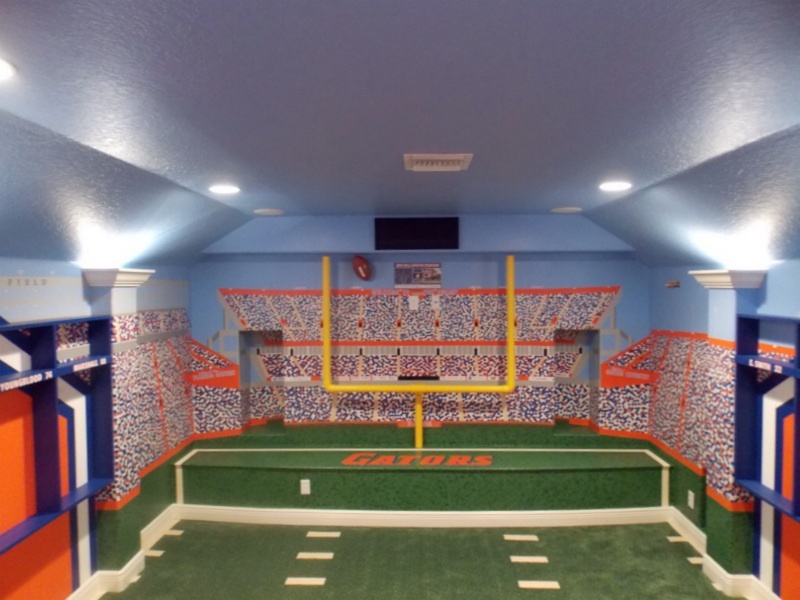 This Florida gators inspired home theater is the perfect man cave for any football fanatic. 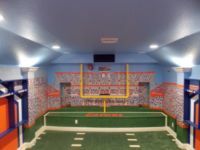 You will want to kick a field goal when you step onto the football field carpeting. 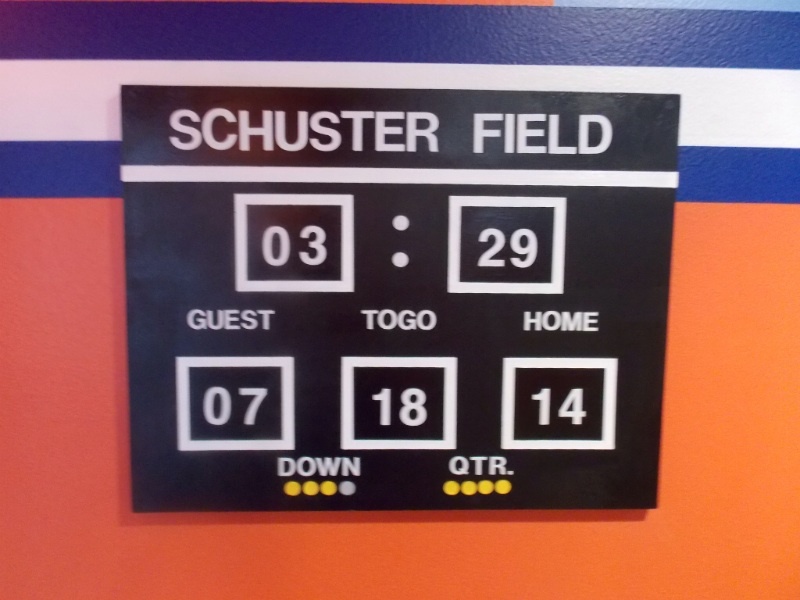 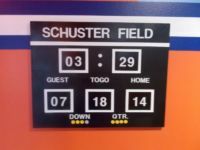 The room is equipped with a custom built bar and a personalized scoreboard. 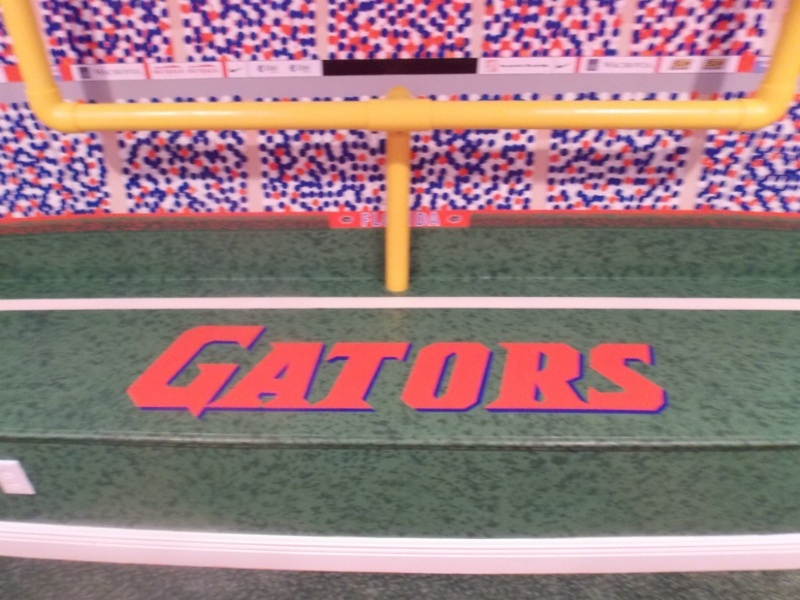 Locker room shelving with the names of Gator allstars line both sides of the room. 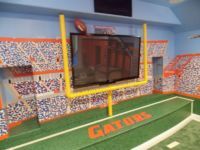 A field goal post surrounds the flat screen TV and bringing you directly into the game. 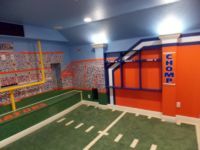 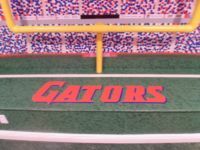 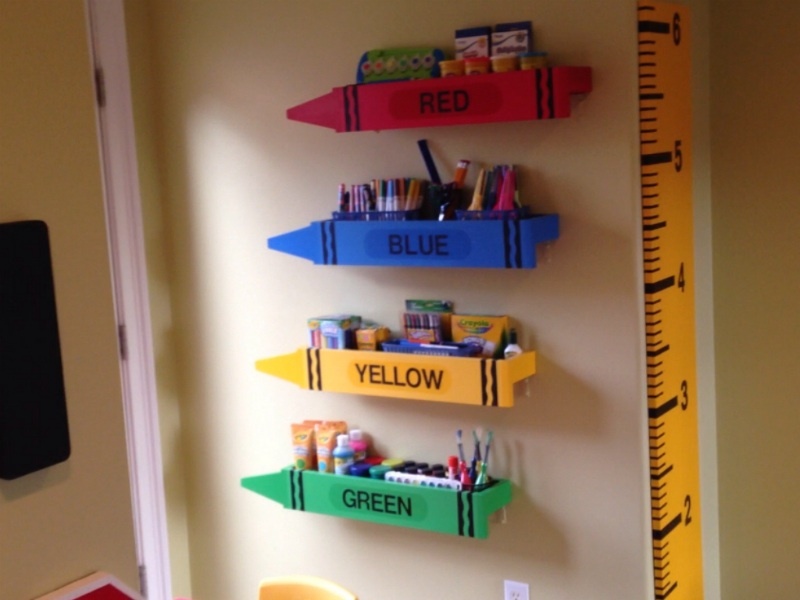 A hand painted mural of Ben hill griffin stadium complete the room. 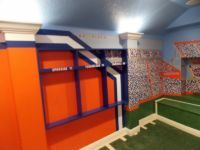 Enjoy the pictures and video.